Our world is filled with heroes. Whether they be international heroes trying to change the world or neighborhood heroes just trying to take care of a community, they all deserve the title hero. A hero can be someone who teaches, someone who is a good parent, or even someone who risks their life everyday to take care of someone who is suffering. Of all those types of heroes the kinds I find the most heroic are the people who risk their lives for others, which is why, for my hero, I chose Clara Barton, the woman best known as the "Angel of the Battlefield". You may wonder why anyone would be called that, but it was because she cared so deeply about people, strangers and friends alike that she was willing to go out onto a battlefield in the middle of a fight, with bullets flying everywhere, and nurse and feed the soldiers that were wounded. Clara Barton was a teacher, nurse, activist for civil rights, and humanitarian, but most of all she was a brave and selfless woman who truly cared about other people. 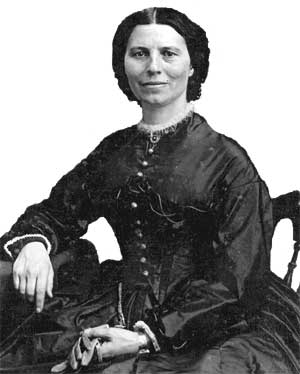 Clarissa "Clara" Barton was born on December 25th, 1821 in Oxford, Massachusetts to Stephen and Sarah Barton. Her father was a respected farmer, horse breeder, and also a politician. Her mother was mentally unbalanced and went in and out of fits of rage. Because of her mother's condition Clara was raised by her older sister Dolly until she was six, which was when Dolly had a mental breakdown and spent the rest of Clara's childhood by herself, locked up in a room. After that, Clara was looked after by her other sister Sally. Clara was the youngest of the 5 Barton children and was often teased because she had a lisp. The teasing could be one contributing factor to why Clara was extremely shy. There were times that her shyness affected her so much that she could not even eat. Despite all that, Clara was a very smart child and she applied all that knowledge to become one of the most important women of the 1800s. When Clara was 11 years old she discovered her calling as a nurse. It all happened while she was nursing her brother back to health from a serious illness. After that Clara knew that all she wanted to do was take care of people. At the age of 16 someone suggested she become a teacher to help her overcome her shyness. She taught for 10 years at a private school in Massachusetts. Clara then moved to New Jersey where she opened a free public school for students who could not afford the private school prices. In 1854 Clara resigned because she was not appointed principal because of her gender. After that Clara moved to Washington, D.C. and became the first woman clerk to work in the patent office. During the Civil War, Ms. Barton established an agency to get and distribute supplies to wounded soldiers. 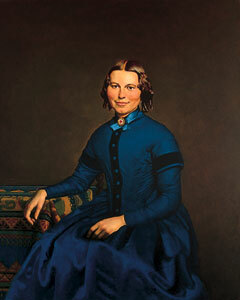 It was during the Civil War that Clara risked her life multiple times to take care of the wounded soldiers. After the war, Clara started the American Red Cross and remained president of it for 22 years. She resigned her position in 1904 and died 8 years later in 1912, at age 90, at her Glen Echo home. Before learning about Clara Barton, I was not very sure about what I wanted to be when I grow up, but I know now that I want to be a doctor. She inspired me to want to help people when they are sick, so after I become a doctor I want to give check-ups to people who cannot afford their own health care. 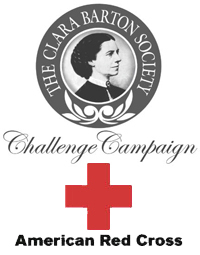 After reading about someone as brave and caring as Clara Barton, you cannot help but want to help people like she did. She reminds us that it does not matter whether you are brave or shy, male or female, if you put your mind to it and your heart in it, you really can make a difference. Clara Barton was an incredible woman who changed the world forever. Without her, many soldiers would have died and the Red Cross probably wouldn't exist. She was born on Christmas which I think is the perfect day for her to born because she truly was a gift to the world. Not many people are willing to risk their life for others like Clara. She was compassionate, caring, selfless, and brave, but there is another word I would use to describe her too, and that word in a way sums up this whole paragraph... the word is HERO. Home of the American Civil War - Read a biography of Clara Barton. unlisted. "Wikipedia." [Online] Available en.wikipedia.org/wiki/Clara_Barton. unlisted. "American Civil War ." [Online] Available americancivilwar.com/women/cb.htm. unlisted. "Clara Barton Biography." [Online] Available http://www.lkwdpl.org/wihohio/bart-cla.htm. unlisted. "Clara Barton." [Online] Available http://www25.uua.org/uuhs/duub/articles/clarabarton.html.